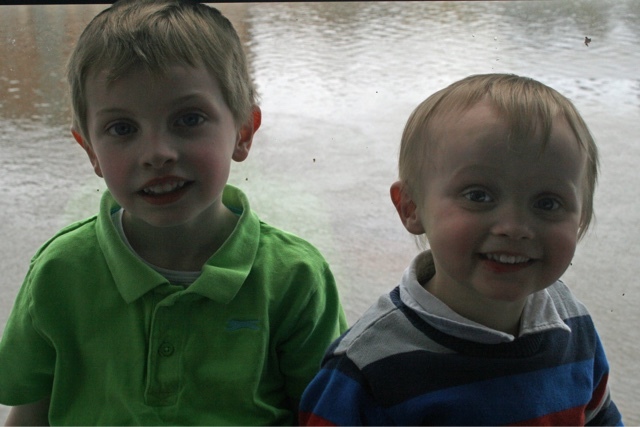 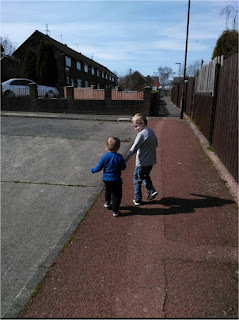 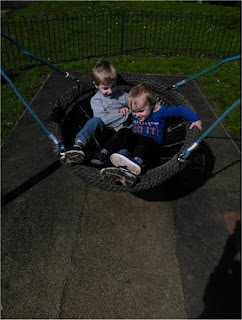 My boys have had a lovely time on their Easter Holidays from school and playgroup. We have some lovely photos of them both together. 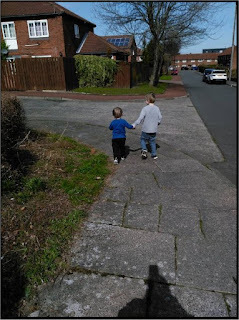 This one was taken by my dad on Easter Sunday when we went out for the day with my parents. 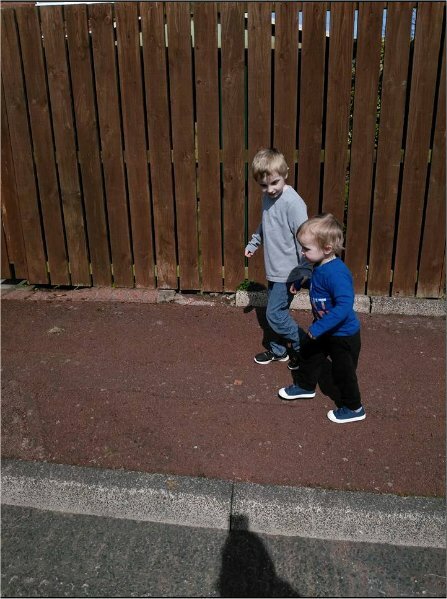 I find it difficult to get them both looking at the same time, so thanks dad! When Andy went back to work we had a lovely day where the weather was fantastic, so I walked the boys to our local park. They looked so adorable holding hands as they walked!